We have been living with horses for over 5000 years. We have worked together, been through wars together, played as a team in different sports activities, etc. Without a doubt, humans and horses share one of the most wonderful symbioses in the world. Yet, there are a lot of interesting things that we do not know about these trusted animal companions. 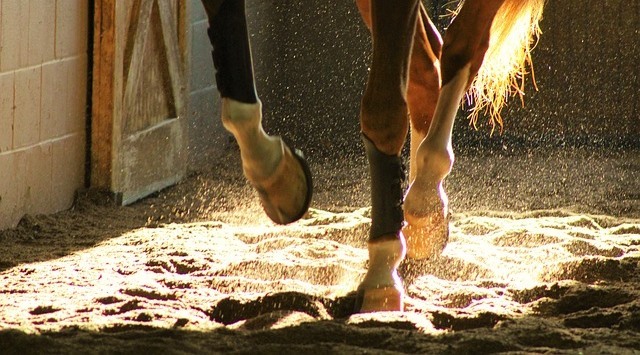 So, here are 5 things you probably didn’t know about horses. Horses have the so-called equine vision, which is contrary to the popular belief that they see in black and white. It is speculated that they have the same perception of the world as humans with red-green color blindness. Also, horses have the largest eyes when compared to any other land mammal, and they nearly have 360 degrees. 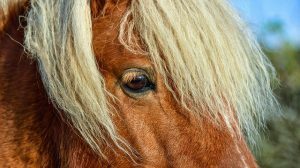 So if you want to be sure that a horse’s gaze is fully focused on a particular thing, you need to pay attention to his ears, as they will be leaned forward. 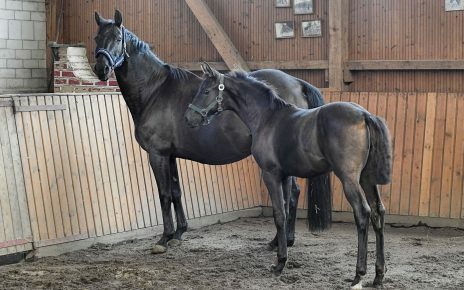 Horses can sleep while standing, so they do not always lay down. Also, horses will never go to sleep at the same time. One of them will always stay awake to keep watch and alert others if needed. Horse hooves consist of the protein that comprises our nails and hair, so if the horse loses a hoof due to an injury it will grow back eventually. It will take approximately 9 to 12 months for a hoof to regrow. Furthermore, hoof has a triangular shaped area that is called “frog” and acts as a shock absorber as they gallop, plus it helps the blood flow, by pumping the blood back and up the leg. Not only that they have 8 different blood types, but a single horse can have more than one blood type. 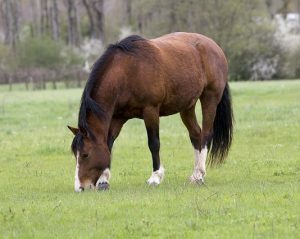 Horses are herbivores and exclusively eat plants, however, you cannot feed your horse grass cuttings, as it can get a terrible stomach ache. Horse drink up to 10 gallons of water a day, and they produce between 3 to 10 gallons of saliva on a daily basis. Saliva plays an important role in their digestion system as it helps them swallow their food easier and it prevents ulcerations. However, cut grass is fermenting and it is smaller, which means they can easily swallow it without chewing and thereby they will not enter the digestive tract mixed with saliva. Without saliva to dilute it, the grass will continue to ferment and result in severe stomach pain. Also, horses can’t vomit, so be careful about what you feed them.